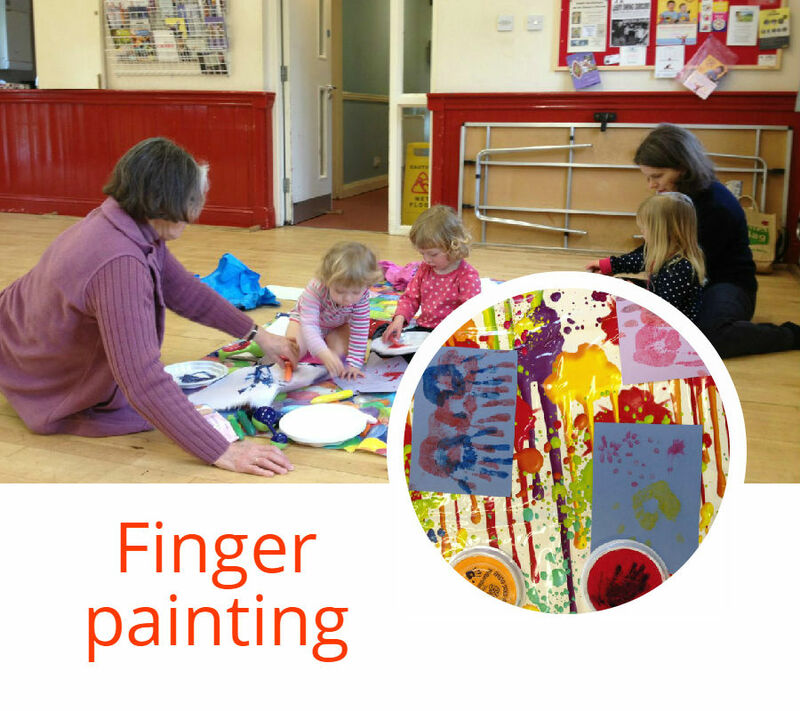 Finger paint with your child. 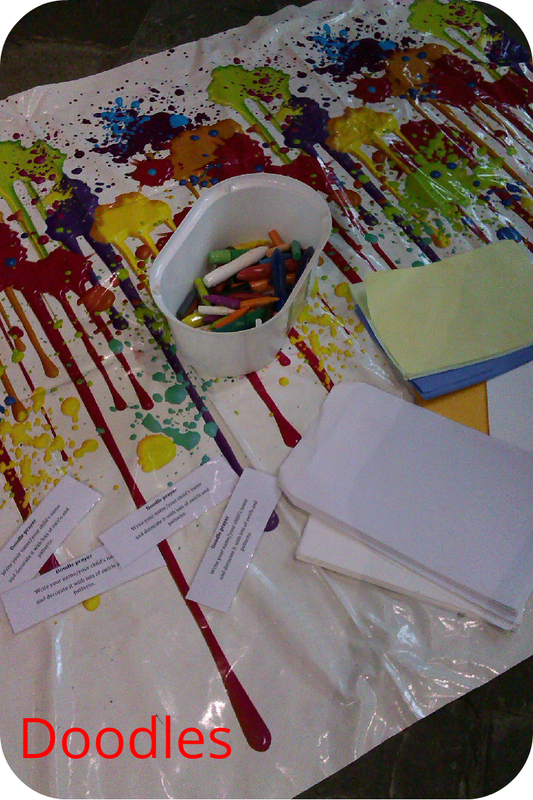 Ask, ‘can you paint what life looks like, or what you look like?’ Then ask God to help you put God’s colours in. ‘Where does God’s paint go?’ Or print out a You’re special card and make a handprint, then keep it to remember how precious you are. Write your name or your child’s name. Decorate it with lots of swirls and patterns. Use baby lotion to gently massage into your baby. As you ask God to bless your little one; tell your baby how much God loves them and how very special they are to you and to God. Rub lotion into each other’s hands or feet. Give thanks for what your hands or feet do, and ask God to bless them. You can also rub lotion into hands and feet and ask ‘what has been good about today and what has been hard?’ Then offer those things to God / Jesus. (This is good for bed time, but any time is fine). Bless your eyes, that you may see that the world is beautiful. Bless your ears, that they may the word of God. Bless your mouth, that you may always speak words of truth. Bless your hands that you may always work for good. Bless your feet, that you may walk in God’s ways. Bless your mind, that you may have wisdom and understanding. Bless your heart, that you may be filled with the love of God. Blow bubbles. You can use these to send God / Jesus your love. You can just watch them and say thank you. You can pray for someone. 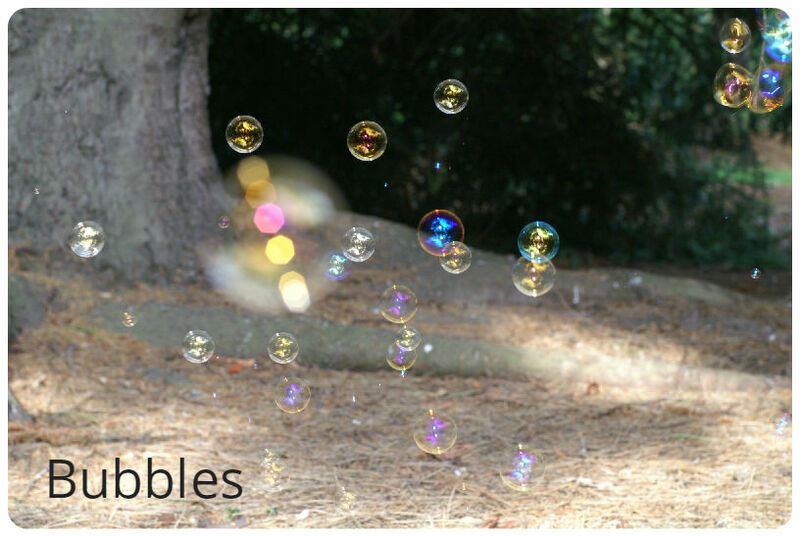 Think about being loved by God / Jesus as the bubbles float about. Think of all the things you would like to say to God and blow bubbles. See the bubbles and look at the wonderful colours. No two bubbles are ever the same and no two people are exactly the same. You are special. Look at all the pretty colours – all the colours of the rainbow – and say wow to God! Have fun. 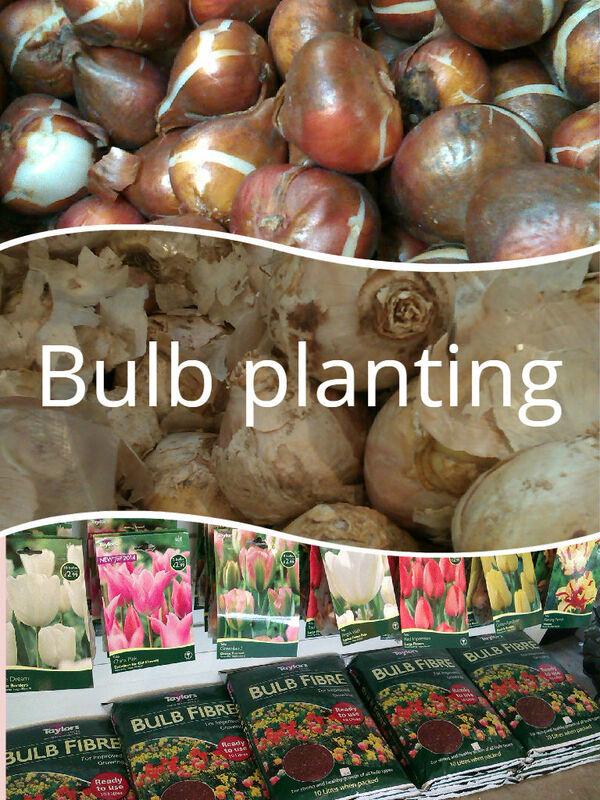 Plant a bulb and see what comes up as you take care of it. Say thank you to God. Offer tubs of cut-up fruit. 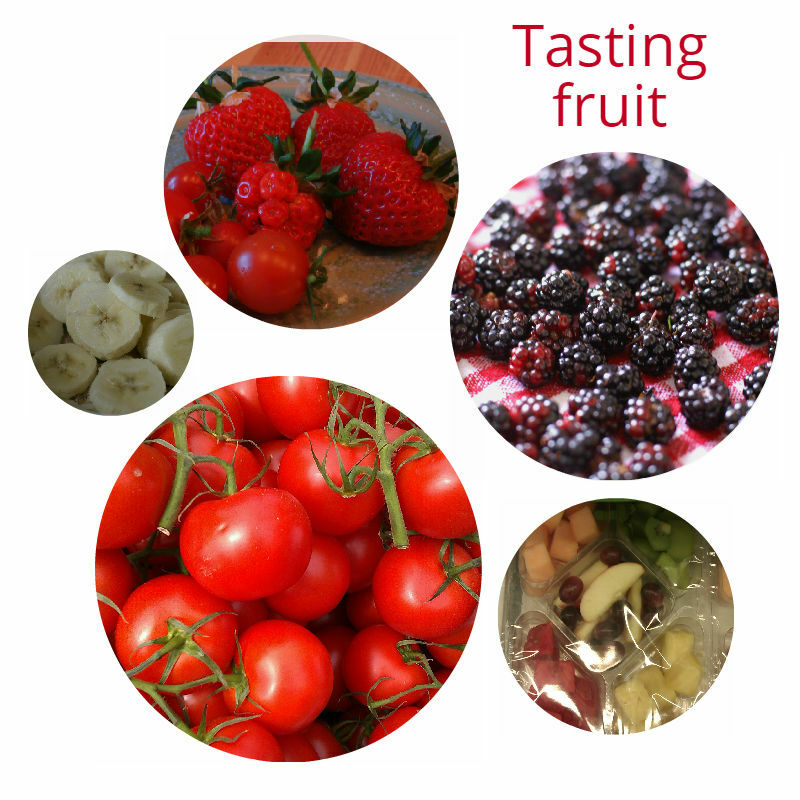 Choose a piece of fruit and look at it. ‘What does it look like? What colour is it?’ Then, close your eyes and smell the fruit. Notice what it smells like. Touch the fruit to your lips – ‘what does it feel like?’ Now take a wee bite, ‘what does it taste like?’ Thank God for the fruit and the food we have to eat. Think of all the fruit and food that builds your body as you eat. Thank God and remember to love your body by feeding it good things to build it and keep it healthy. 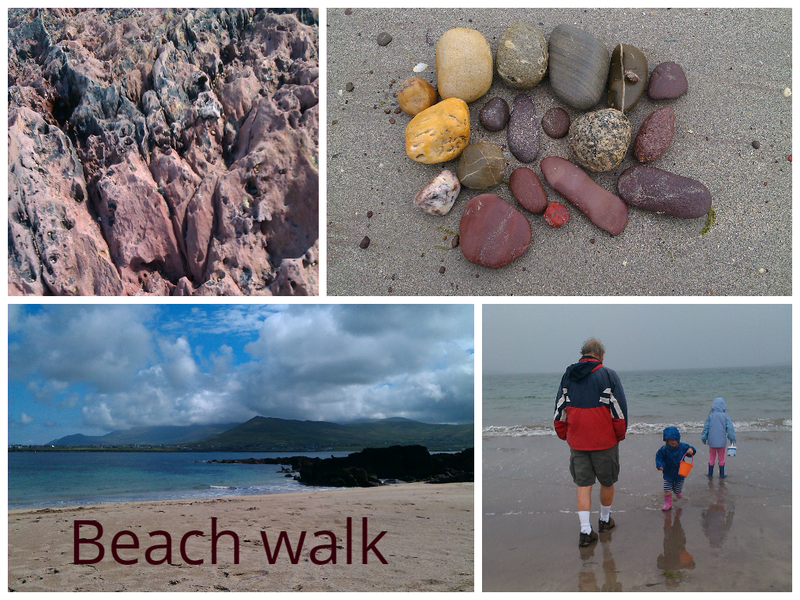 Walk together on the beach. See what you can find. ‘What do you like and why?’ Ask God or Jesus what that says about you. Bring the object/s back (if possible) and put in a special box to remember. Look at the sea. See how big it is and how big the sky is. See how little I am. And know how much God loves both you and everything! Take some deep breaths and feel God and God’s Spirit, filling you. Laugh and run, have fun together, feel how good it is! Know God loves you so much! Go for a walk outside. Look at stones, feathers, leaves, etc. ‘What would you like to pick up?’ Pick it up and look at it, feel it. ‘What is it like? What do you like about it?’ Tell God / Jesus and ask what it says about you or about God / Jesus to you. Take toy bricks or skittles. 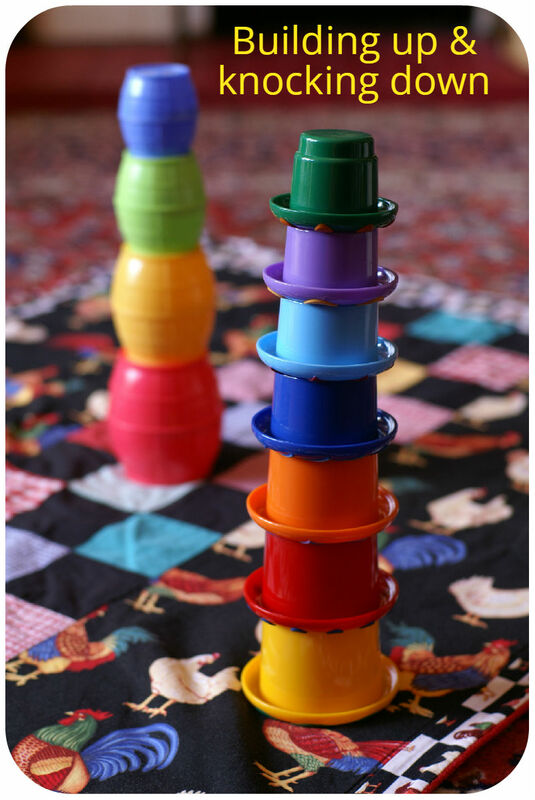 Together with your child, build up the blocks and then knock them down. Ask God to build you up and protect you from being knocked down. Play together with soft toys. 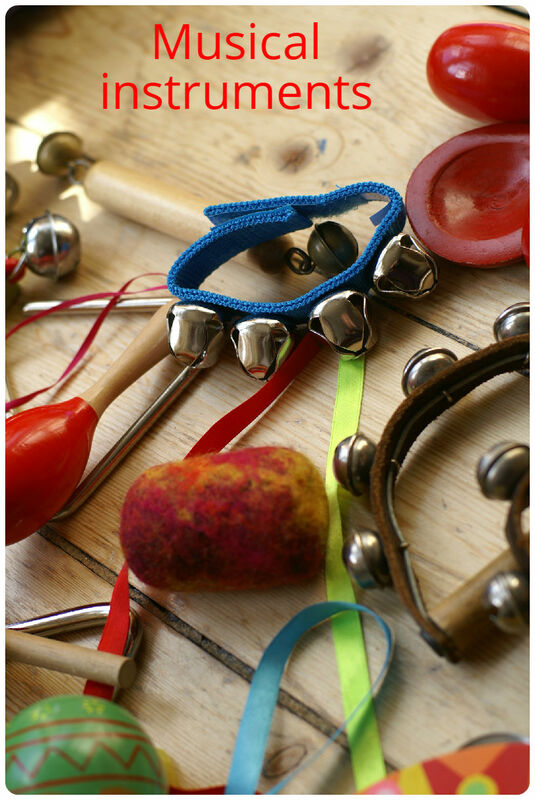 Look at colours, sounds and touch. Give thanks to God for all the colours, sounds and feel of things. 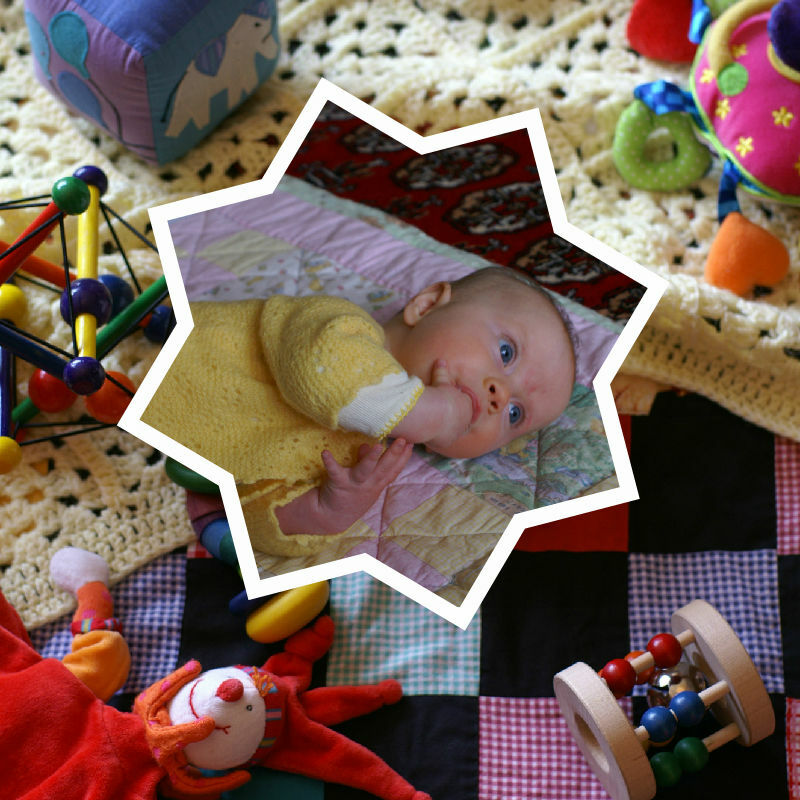 As your child explores, imagine God playing with him or her and see how God plays with your baby. 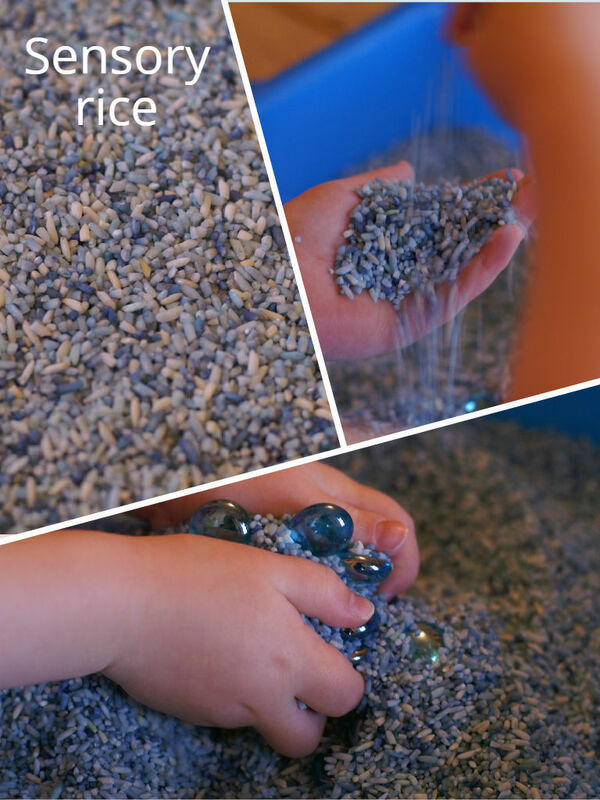 Hide gemstones in a container of play sand. 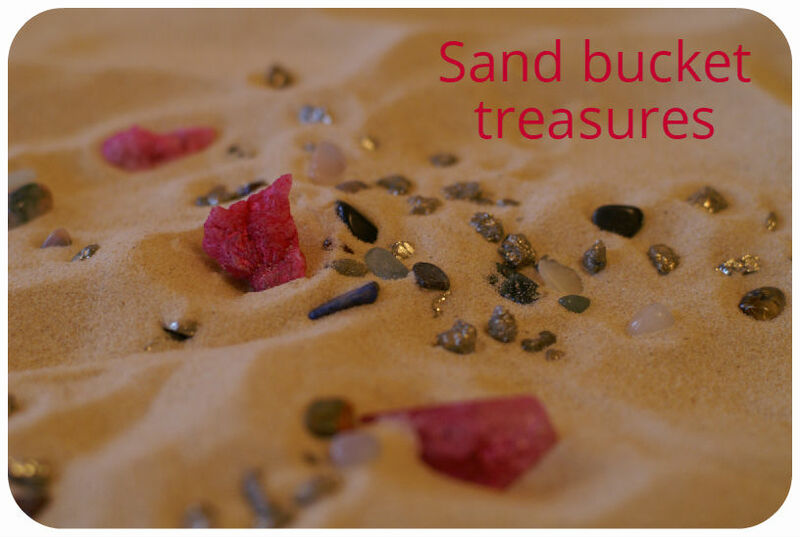 Find the treasure in the sand and know you are treasure. Play with the rice in the tray. Feel it flow through your fingers, and your feet too if you like! Can you feel the rice flow as it falls? Feel the love of God flow with you. 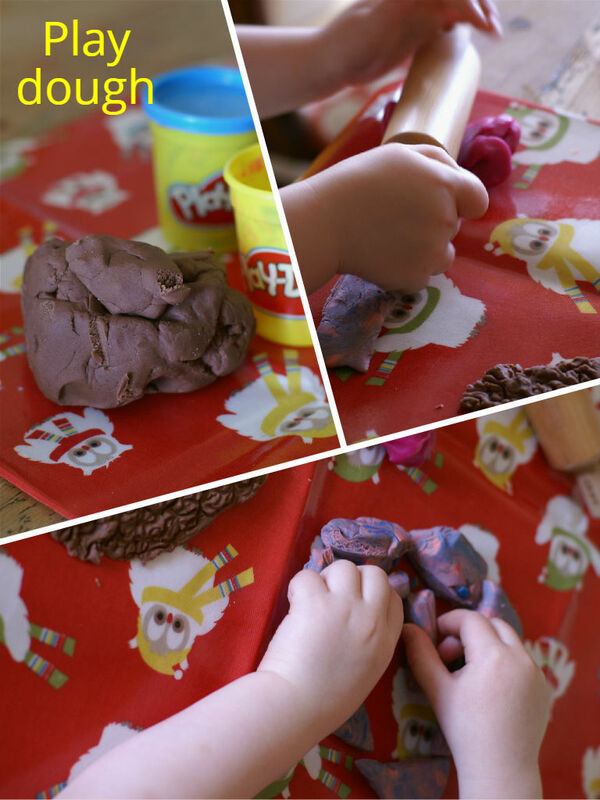 Play with play dough with your child. Together, feel it in your hands, and maybe stand on it. ‘What does that feel like? What can you do because you have hands and what can you do because you have feet?’ Thank God for your hands and feet. Make yourself in play dough. Ask God / Jesus to help you know how much God loves you. Play with the play dough. As you do so, make a model or picture of you and God / Jesus. ‘What is God like in your picture? What are you like?’ Ask God what God or Jesus is saying to you in your picture. Praise God with the sounds. 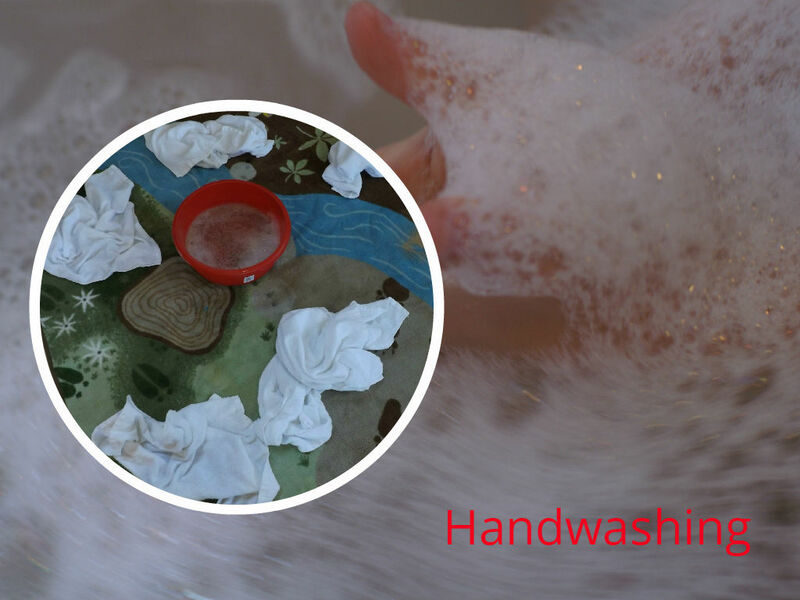 Together with your child, play with your hands in a basin of water. Give thanks for each finger. Hold the thumb for comfort. Hold the index finger to think about God holding in anything you are scared about. Hold the middle for anything you are angry about. Hold the next finger for any worries you have. Hold the little finger for remembering that God holds us. Remember things that have been sad or hurting, and as you wash your hands, ask God to take these things. 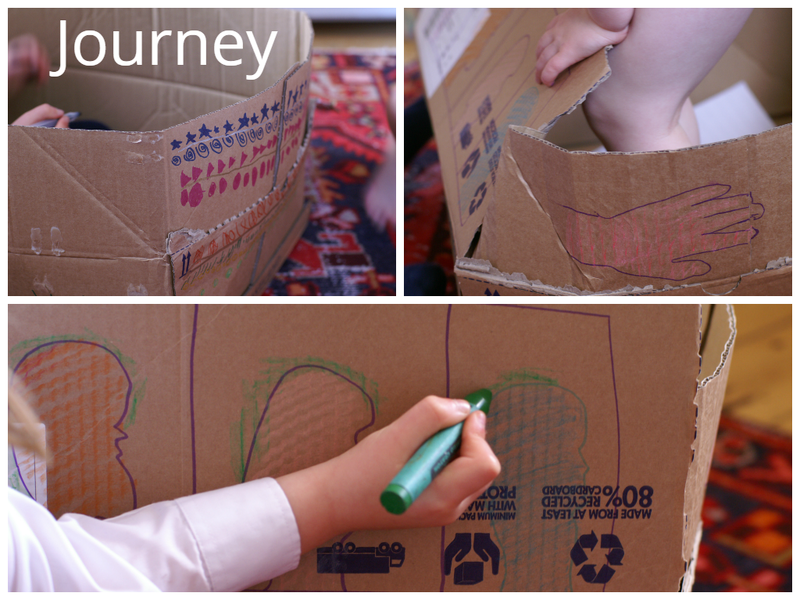 Decorate a cardboard box to be a car, bus or train and enjoy sitting in it. Ask God to bless everyone you meet while you travel. ‘What can you see as you look around?’ In everyday journeys, in cars, buses or walking, we can pray for people as they go by. Imagine God hugging the people in the red car, or God blessing the lady walking down the road who looks sad. Also bless the animals and all who live wherever we are travelling through. If an ambulance or fire engine goes by, you might imagine God right there beside the people, the doctors, the fire-fighter. Where can I go from your spirit? Where can I flee from your presence? If I go up to the heavens, you are there; if I make my bed in the depths you are there. If I rise on the wings of the dawn, if I settle on the far side of the sea, even there your hand will guide me, your right hand will hold me fast. 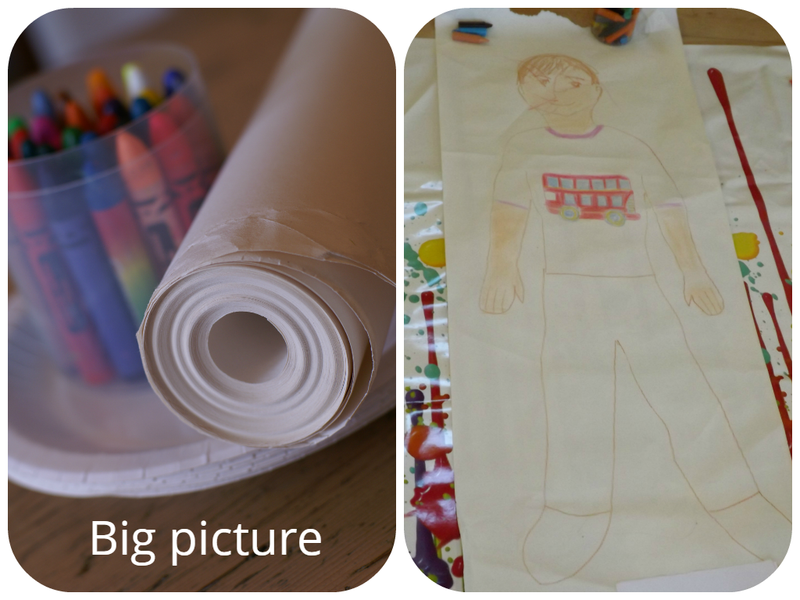 Draw around your child, lying on a large piece of paper. Decorate it together with crayons etc. Cut round the outline if you want to. Alternatively, you could draw your child’s face on a paper plate. Ask your child to help you write all the things you love about them. Write at the top of the paper, ‘Made with love by God and God says you are good’. Hang this up in the house. When your child has done something which has caused difficulties and when everything has calmed down, take your child to the picture and remind them of all the things you love about them. This isn’t always easy, but it does help! 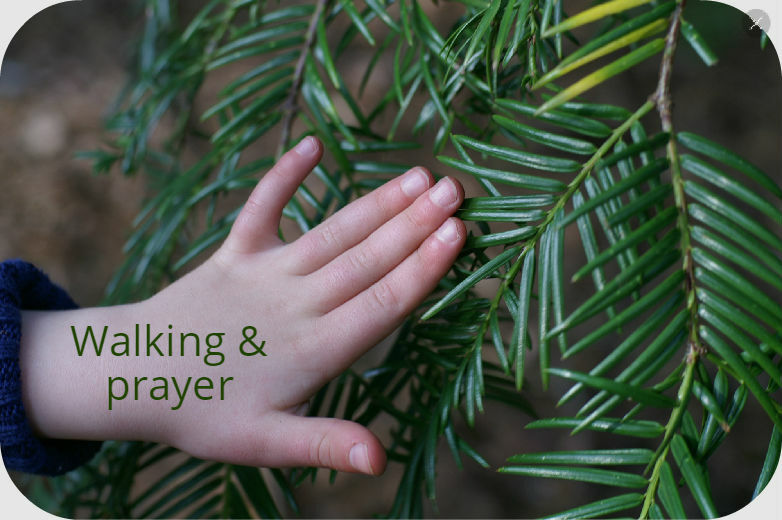 For adults, this a way to pray at home as you go about the day. If you drew yourself what would you draw? What are the shape and colours? 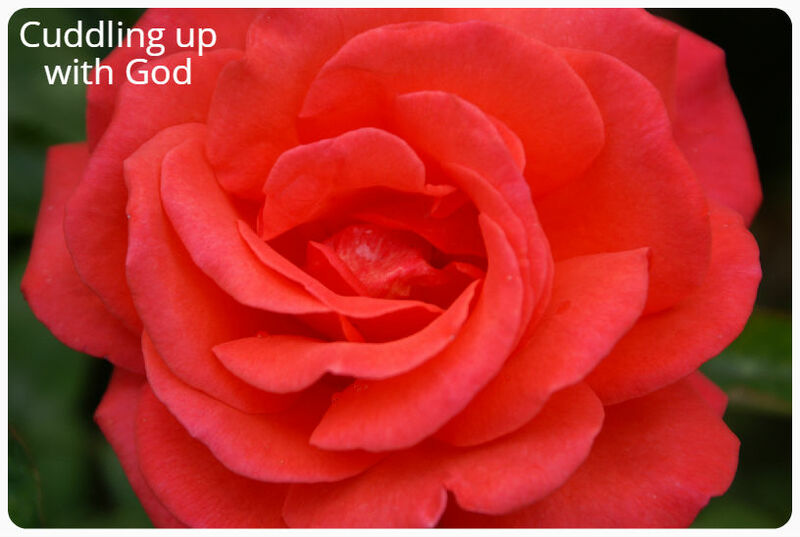 If you imagine God looking at that picture with you, what do you feel God would say and do? Stay with your gut response. Spend time pondering that gut response and what it might be saying to you. Talk with God about it. Lord, you have examined my heart and know everything about me. You know when I sit down or stand up. You know my every thought when far away. You chart the path ahead of me and tell me where to stop and rest. Every moment you know where I am. Just cosy up, you and your baby. Be aware of cuddling up into God who loves you both. Become aware of both of you being God’s children. Read a passage, and imagine God speaking these to both you and your baby. Ask God to bless your baby and imagine God holding your little one close and see the love in the eyes of God. 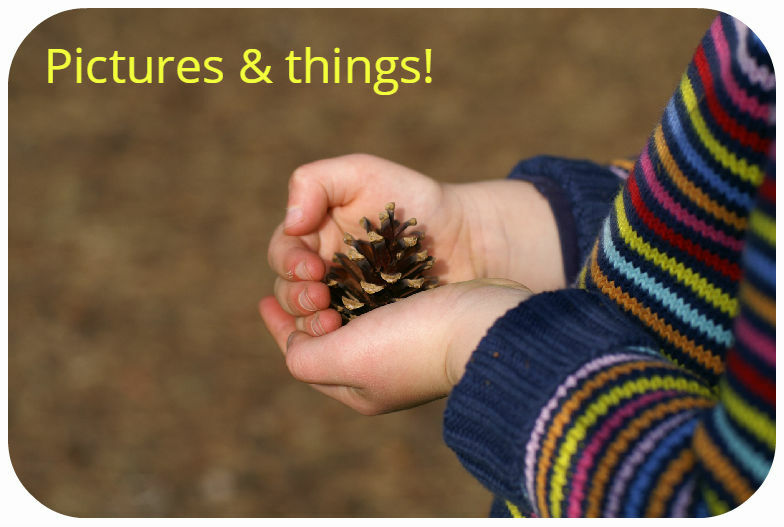 Fill a basket or suitcase with interesting treasures: postcards, fabric, fairy-lights, pebbles, flowers, shells, and, if you can find one, a Tibetan singing bowl! 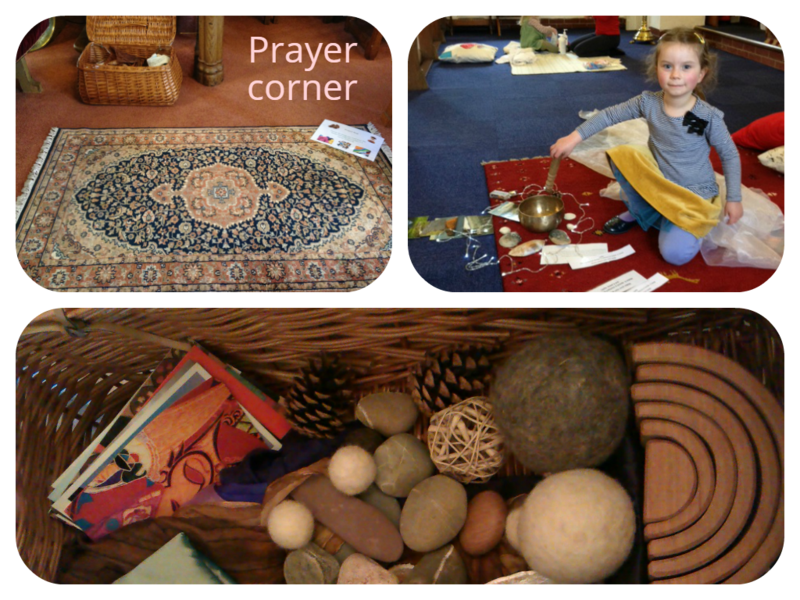 Choose the objects right for you to create your own prayer corner on a rug. Make it, spend a moment in silence and put it away again. Lie down and thank God for all your body from your toes up. Remember what you can do because of each bit and ask God to give you a hug. 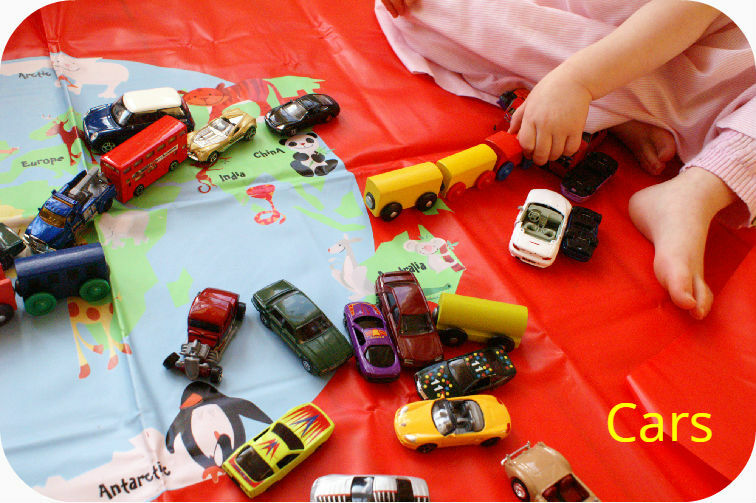 Play with the cars and ask God to bless everyone on a journey.